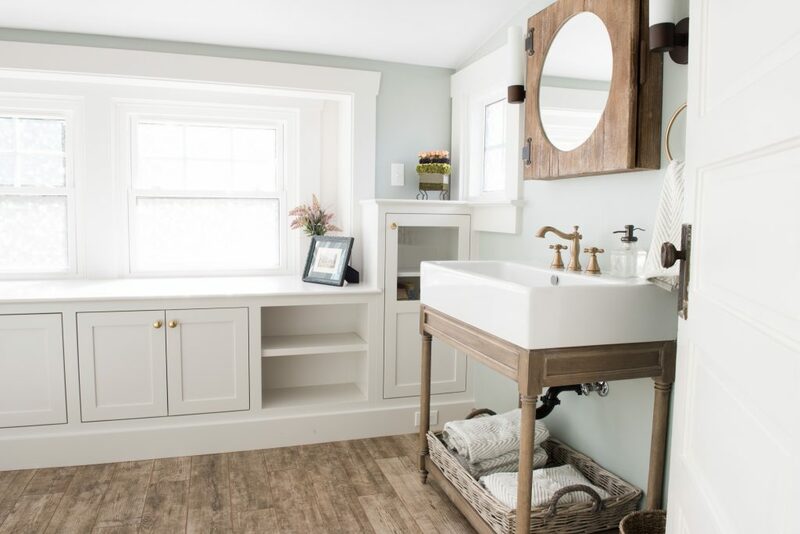 We worked with designer Ellie Wellstead again on this project to convert a small bedroom into a luxurious guest bath. We removed a closet and chimney to add additional space, then added windows to bathe the space in natural light. We custom made the cabinetry, built-in window seat, and trim to complement the house’s original finishes, including the door pictured here. 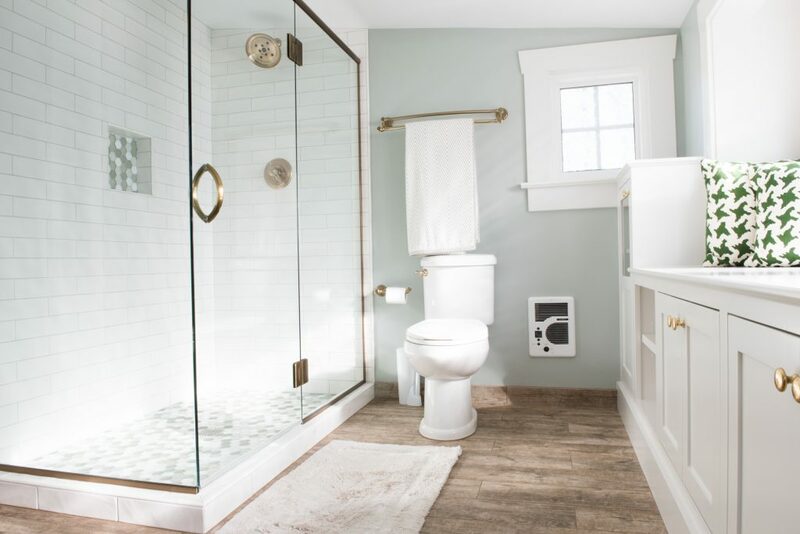 This sunny bathroom is finished off with a heated tile floor, brass hardware throughout, and a combination of canned lights and vanity-side sconces.